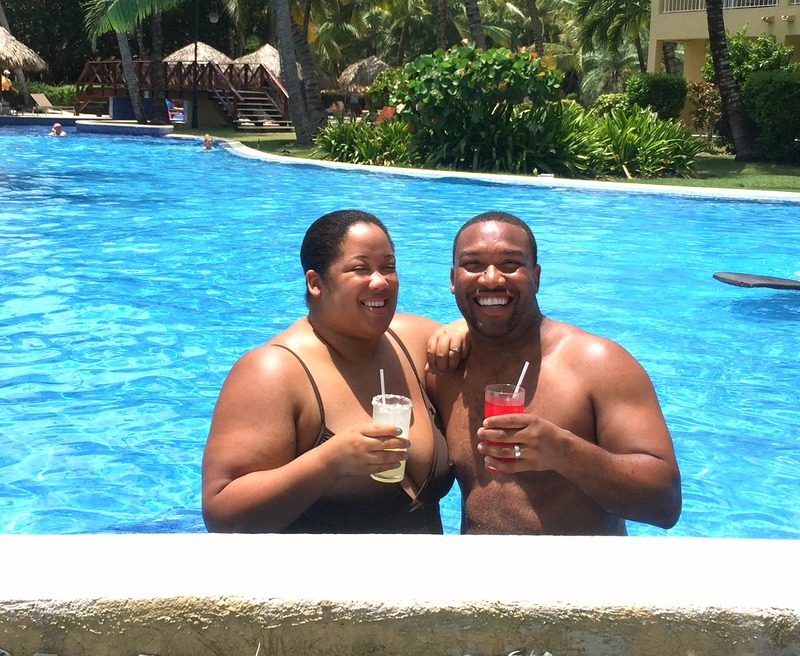 As I mentioned in my last post, Darrius and I spent 5 days in the Dominican Republic celebrating my 31st birthday. 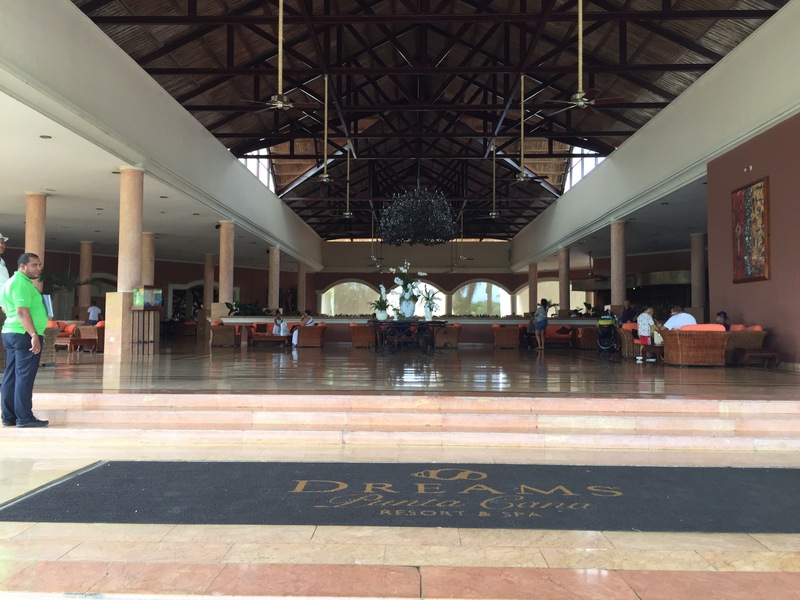 Our home for those 5 glorious days was Dreams Punta Cana Resort & Spa. Approximately 25 minutes from the airport, the palatial all-inclusive resort was breathtaking at first glance. Once we drove past the huge brass gates, our eyes were fixed on the beautifully landscaped surroundings, as well as the pristine outdoor lobby. We were greeted with a glass of champagne, then escorted to the front desk. 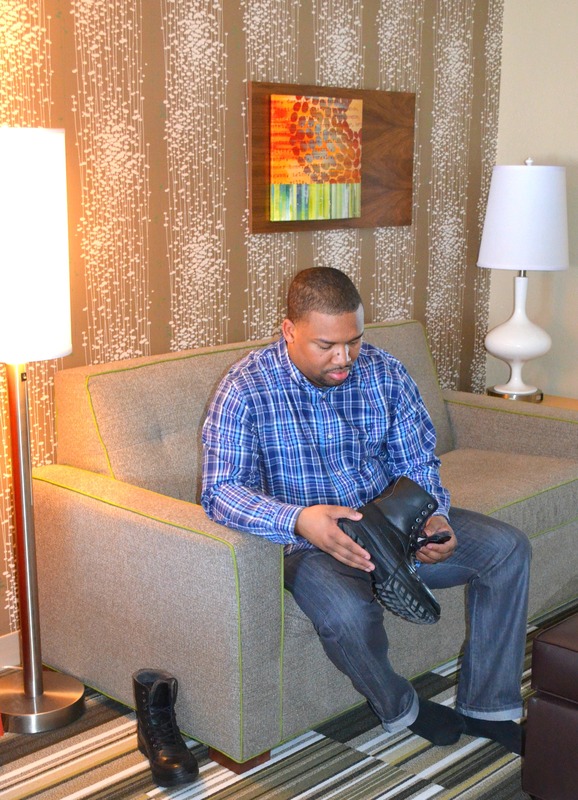 Darrius, a hospitality professional, and expert, immediately mentioned how accommodating and knowledge the staff was. I couldn’t agree more! Our room was almost identical to the one pictured above. 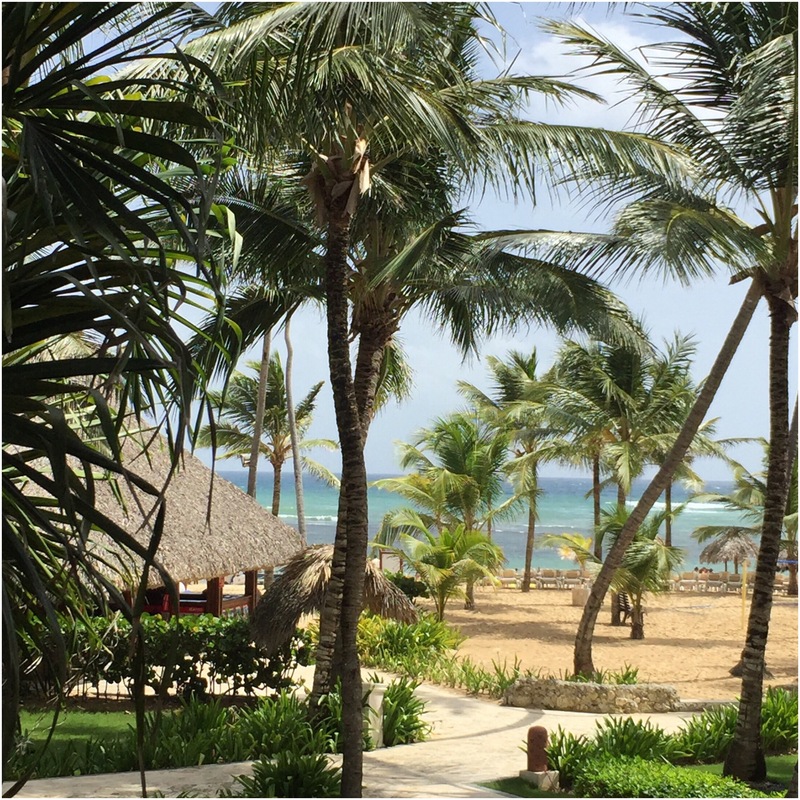 The only difference was our room had a gorgeous view of the garden and sandy beach. Darrius and I were very impressed with the cleanliness of the rooms, as well as the huge shower/tub. I forgot to snap a picture, but that shower was massive! We arrived later in afternoon on the first day, so we spent most of our time lounging and napping. We did, however, venture to the other side of the resort for dinner. 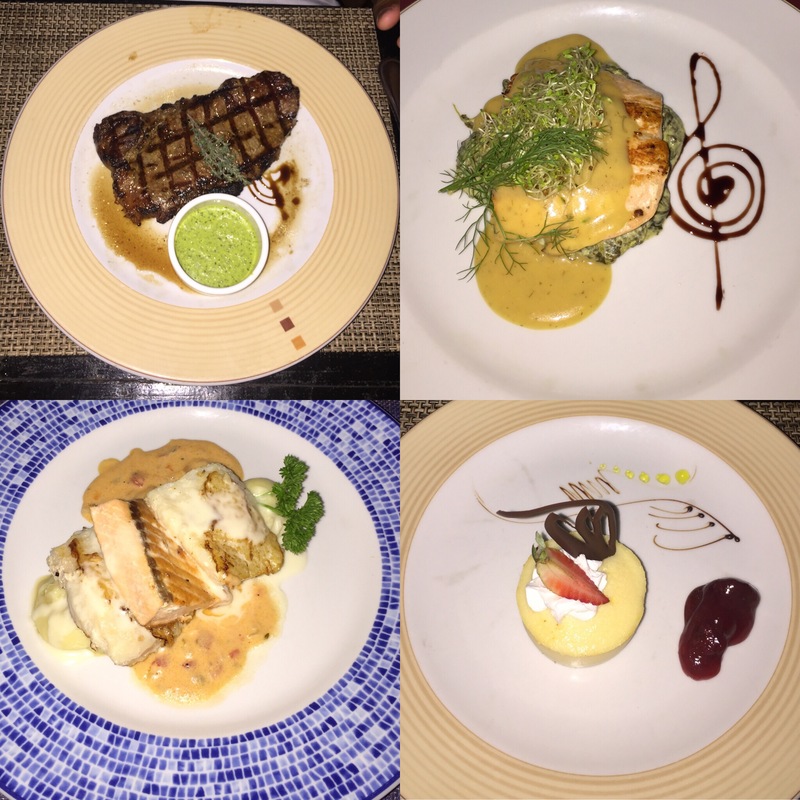 Of the six à la carte restaurants we chose to dine at the international buffet, World Café,. From sushi to pizza, to fresh fruit and the decadent dessert bar, the options were endless! World Café was our choice most mornings as well because it’s the only restaurant on the resort to serve breakfast, lunch, and dinner. We made it a point to visit a new restaurant each night for dinner. My favorite meal was from Oceana. The salmon literally melted in my mouth, and the shrimp Cesar salad was divine! 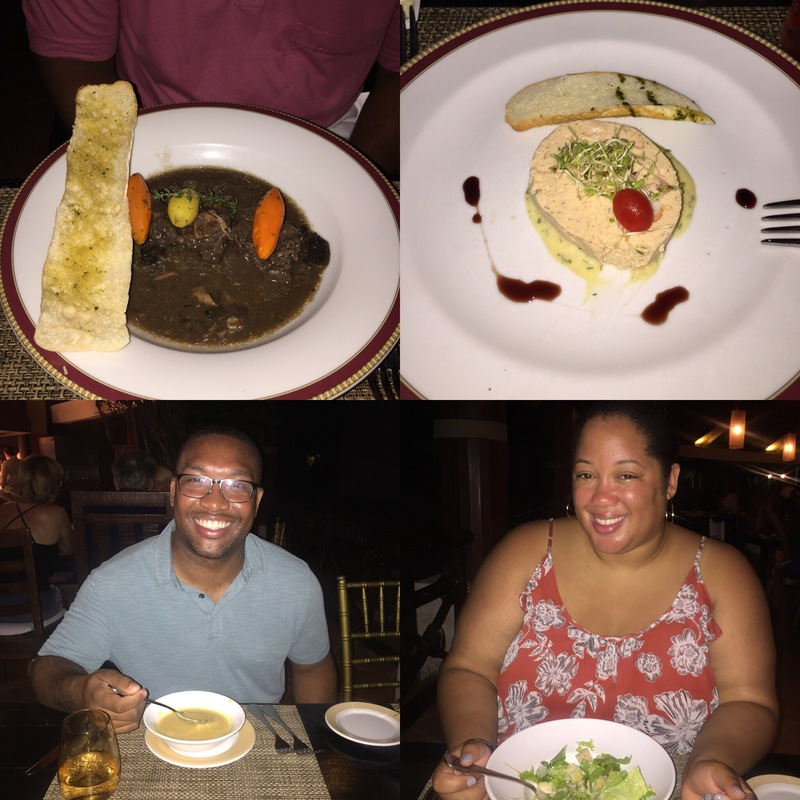 Darrius was a huge fan of his mussels appetizer from Seaside Grill, as well as the hearty beef stew prepared at the Bordeaux. Below are the restaurants we visited, along with a brief description. Aside from eating VERY well, we also made time to enjoy the lovely beach and pool area. The older I get, the more I become a beach lover. We spent hours at the beach, just relaxing on our beach bed and playing in the ocean, on our first full day. 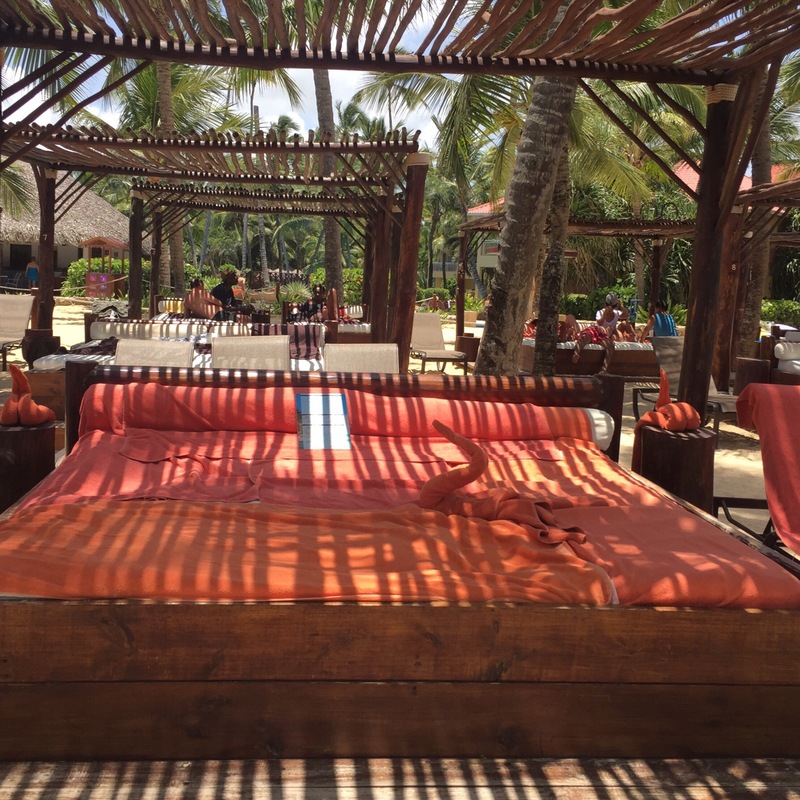 The beach beds were heavenly, and the unlimited food and drink service was superb! The fresh paella, warm breeze, and sun rays made for such an enjoyable experience. We decided to spend a day a the pool later in the week. From the swim-up bar to the poolside lunch, Darrius was in his world! While lounging and swimming, we met a few nice families from Atlanta and California and a newly married couple from Virginia. It never fails; whenever we go somewhere we meet at least one new person, couple or family. I guess we both have friendly faces? The one day we decided to go off the resort was to enjoy a morning in the middle of the ocean. 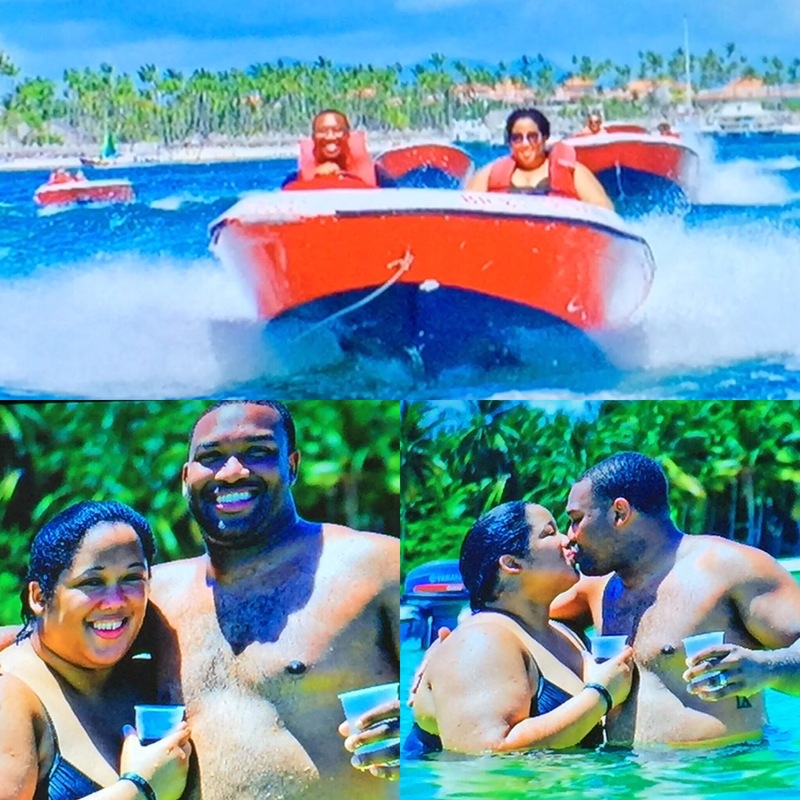 Yep, our speed boating and snorkeling excursion placed us smack dab in the middle of the Atlantic. This adventure was a bit outside of my comfort zone. Not because I can’t swim, but because I’ve never been swimming so far out in the ocean! Putting my reservations aside, we decided to let Darrius drive the speedboat, which was a very smart decision because I probably would have only driven 6 MPH the entire time. When it came to snorkeling, I must admit that I shocked myself. I fearlessly jumped out of our boat and went for it. The experience was one I will NEVER forget! Afterwards, we zipped off to a shallow, and absolutely gorgeous, island for rum and coke and swimming. We frolicked in the water for about a 30 minutes or so, chatting with the other travelers from England, France, and Canada. The day couldn’t have been more perfect. The excursion was certainly worth every dime! Below are a few pictures of our adventure. I haven’t uploaded them from the excursion CD to my laptop just yet, but I think you can get a sense of how much fun we had. So tell me, have you ever been to Punta Cana? Does my experience make you want to book a trip? Let me know! This trip was very special for us because it was our first out of the country trip together. It was also our first official vacation since we’ve been married. 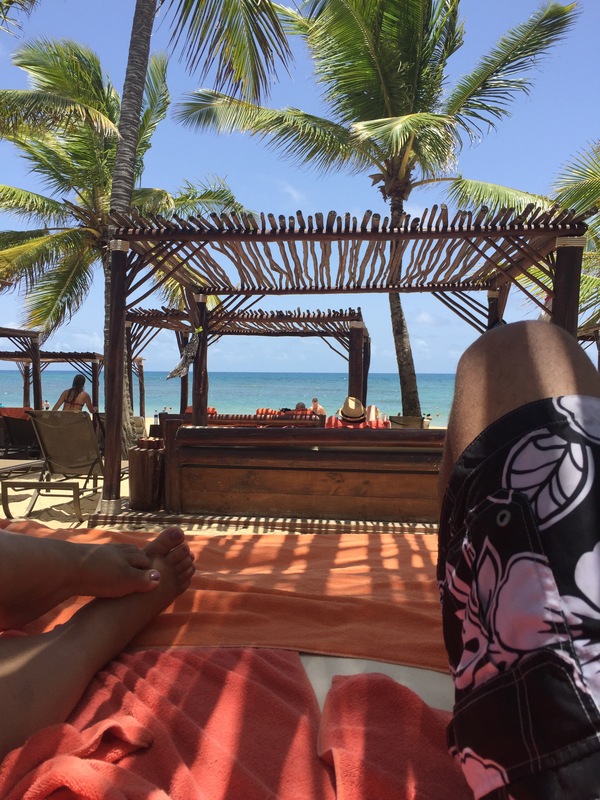 Our honeymoon was a bit unconventional, which we both thoroughly enjoyed, but this trip to Punta Cana seemed like a “real” honeymoon. I can’t wait to share many more adventures with Darrius, and I look forward to those travel experiences with you all as well. Until next time, be blessed and stay safe…XO! I’ve been asked a few times why I post car reviews and how it correlates with the WNJ brand. It’s really quite simple. Driving is something I do every day and as a Lifestyle Content Creator, my purpose is to share certain lifestyle experiences in hopes to inspire you in some way. 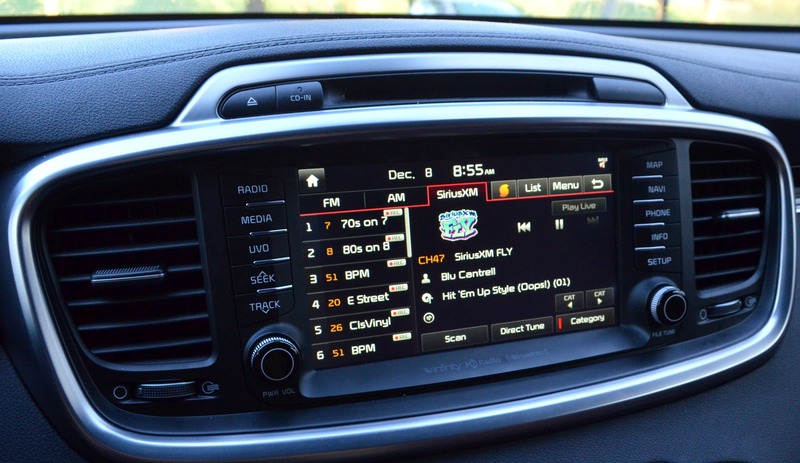 Many of you, myself included, are or will be in the market for a new car in the near future. If I can make your car buying decision a little easier, why not? That said, let’s get into my latest car review! A few weeks ago I had the pleasure of test driving my first loaner of the year! 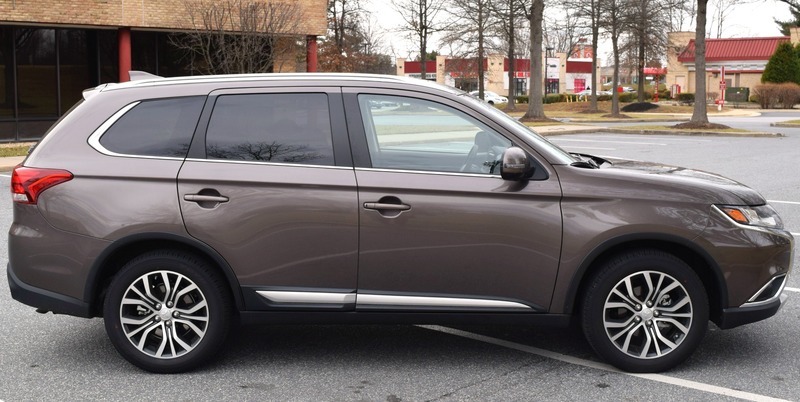 The 2017 Mitsubishi Outlander was my companion for 7 days. 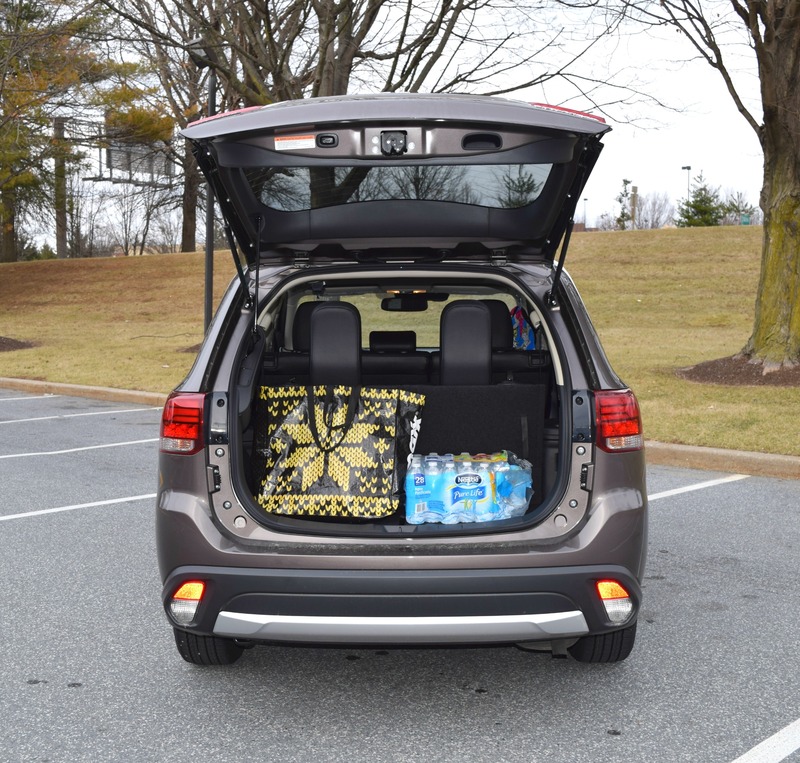 Thanks to the fold down back seat(s) and a spacious trunk, the Outlander was extremely helpful during grocery store and Target runs. During the week I drove the car to and from Baltimore and D.C. and to my surprise, I didn’t have to fill the gas the entire time I had to the loaner. This 4-door SUV comfortably seats 7-passenger and the Quartz Brown/Black color was very attractive. The SUV also has Government 5-Star Safety Ratings. Knowing that the Outlander is a safe and secure vehicle made my rides even more comfortable. For more specific information take a look at my list of pros and cons, as well as the price, below. 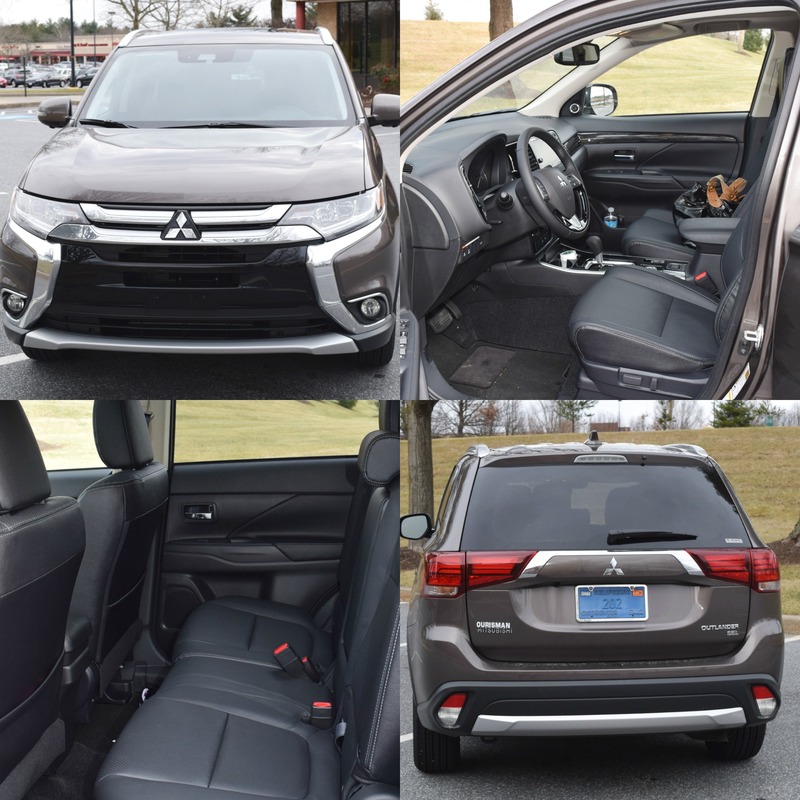 So tell me, what do you think about the 2017 Mitsubishi Outlander? Let me know! Until next time, be blessed and stay safe…XO! 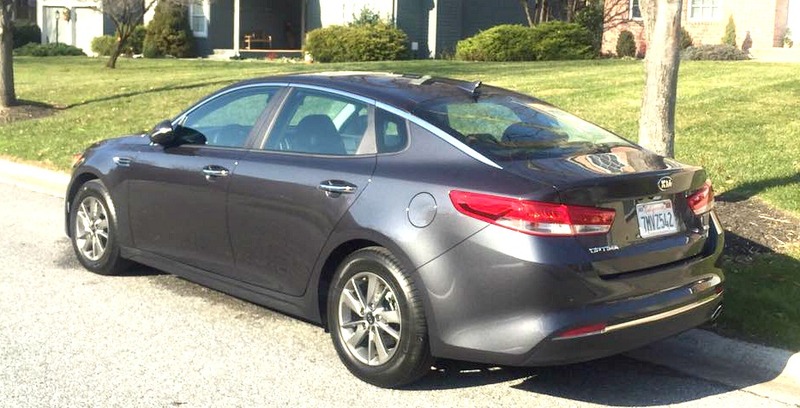 Just before the New Year I had to opportunity to test drive a 2016 Kia Optima LX Turbo. Hubs and I aren’t in the market for a new car immediately, however we plan to purchase a new car within the next 2 years. So whenever I have a chance to test drive a vehicle, I’m excited! I’ve become very found of the Kia brand over the past year and after driving the Optima for a week, it’s safe to say that a Kia purchase just might happen in the near future. Again, I’m not usually a fan of compact sport-like cars, but driving this Kia swayed me a bit. I had plenty of room to stretch and felt very safe while driving. 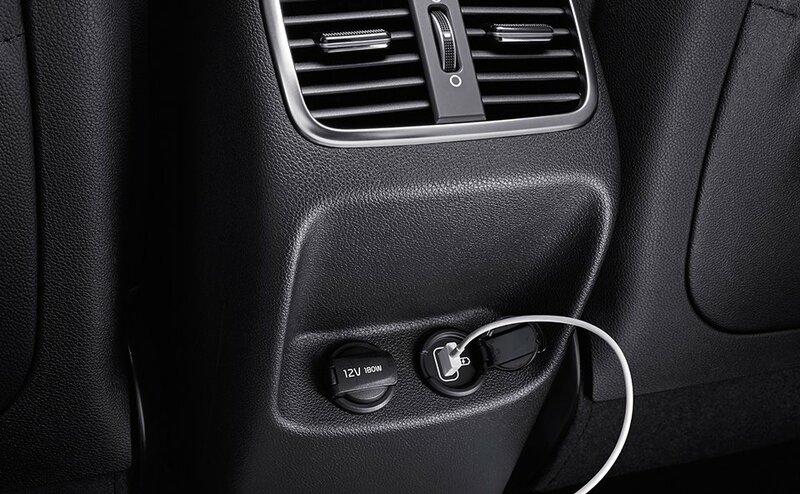 Because I’m constantly on-the-go, I’m always pleasantly surprised when there’s a place to charge multiple electronic devices in a vehicle. Hubs and Mom were equally impressed with the features and also loved the chic design and Platinum Graphite color. I can definitely see this car being a great option for a young professional on-the-go, or even a college student. The price of this model, including the features mentioned and a few others, is $27,415. With all the driving I did I was surprised that I din’t have to fill up the tank. The Fuel Economy is listed at 32 MPG. Not bad, at all! 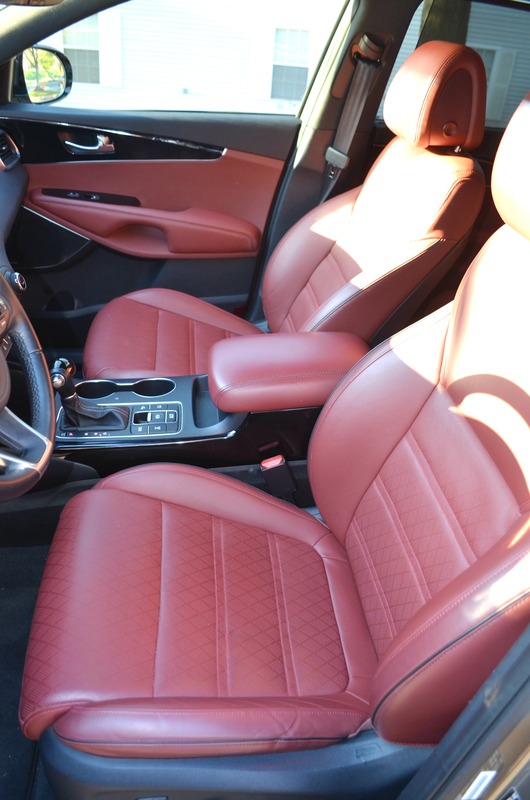 So tell me, have you ever driven a 2016 Kia Optima or another Kia model? Let me know! As always, thanks for reading and commenting. 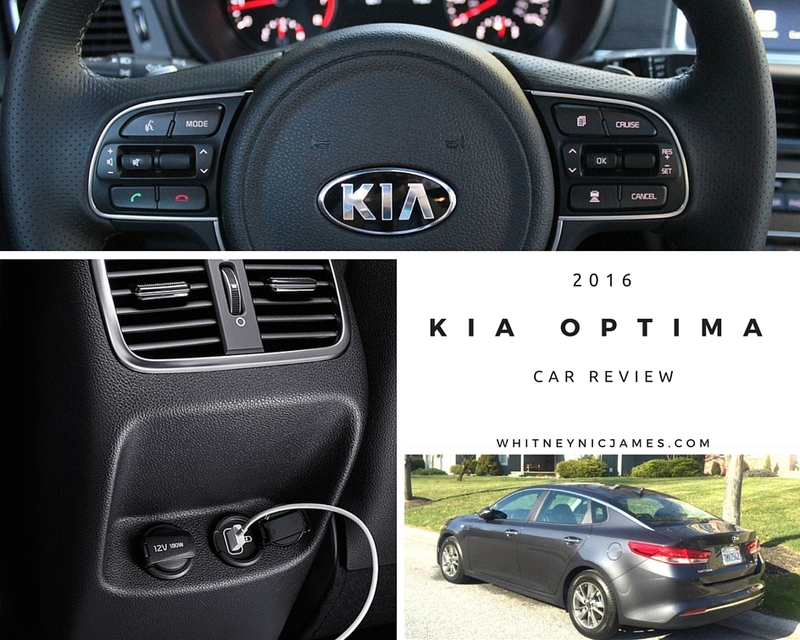 If you’re in the market for a new ride I highly suggest you checking out the Optima, or another Kia model. The more I drive these cars the more I understand the high satisfaction rate among many consumers. Until next time, be blessed and stay safe…XO! P.S. Don’t forget to link your recent outfit to my Personal Style Linkup, HERE! As mentioned in this post, hubs and I traveled to his home state of Delaware for Thanksgiving. The following weekend, we headed back to Delaware for a baby shower. Aside from road tripping, we’ve both been quite busy for the past few weeks. Because of that I wanted to make this trip as comfortable and stress free as possible, for the both of us. I also wanted a smooth and easy drive so at the last minute, I reached out to the lovely people at Drive Shop. 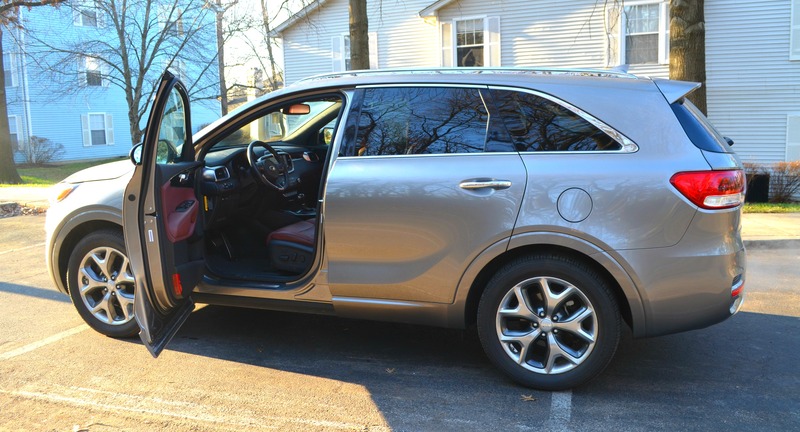 Thankfully I was provided with a beautiful 2016 Kia Sorento SXL AWD the next day, just in time for our road trip. Needless to say the drive to Delaware and back was smooth, safe and so relaxing. I even caught hubs napping in the passengers seat a few times – he never falls asleep while I’m driving, lol. On our way home, we stopped to grab a few things from Whole Foods. There was still tons of space left in the trunk after storing our suitcase, a few miscellaneous items, water and 3-4 bags of groceries. Looking back it was as if the trunk was laughing at us like, “that’s all you got? !” LOL! This car was the perfect road-trip companion, to say the least. 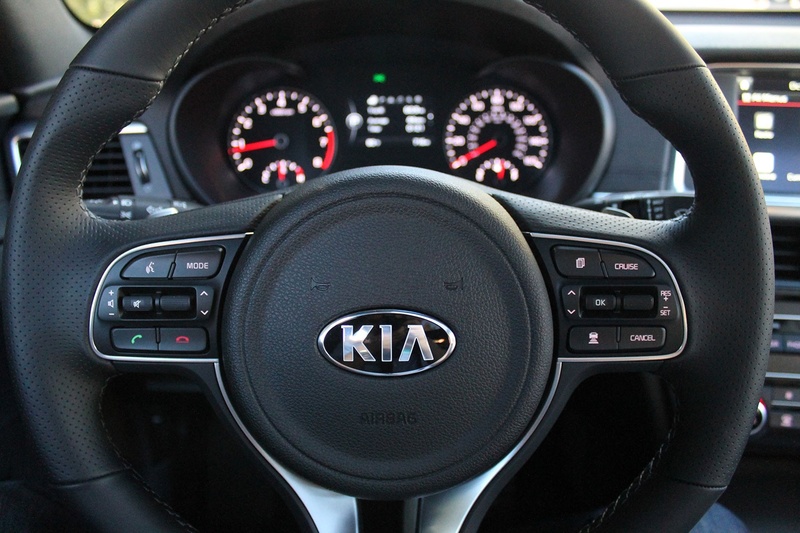 Kia is easily becoming one of our favorite brands. After riding this beauty for a few days, hubs and I are strongly considering this vehicle as our next car purchase. All weekend I raved about how comfortable and safe I felt. The only negative thing I can say about my experience was that I wish I was able to drive it a bit longer, lol. So tell me, what are you driving? 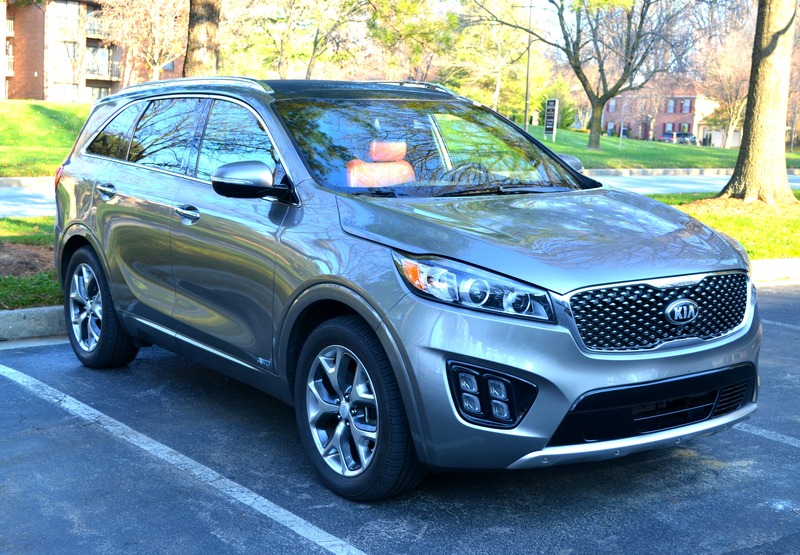 What do you think about the 2016 Kia Sorento SXL AWD? Let me know! Thanks for reading and be sure to leave your comment below. Until tomorrow, be blessed and stay safe…XO! 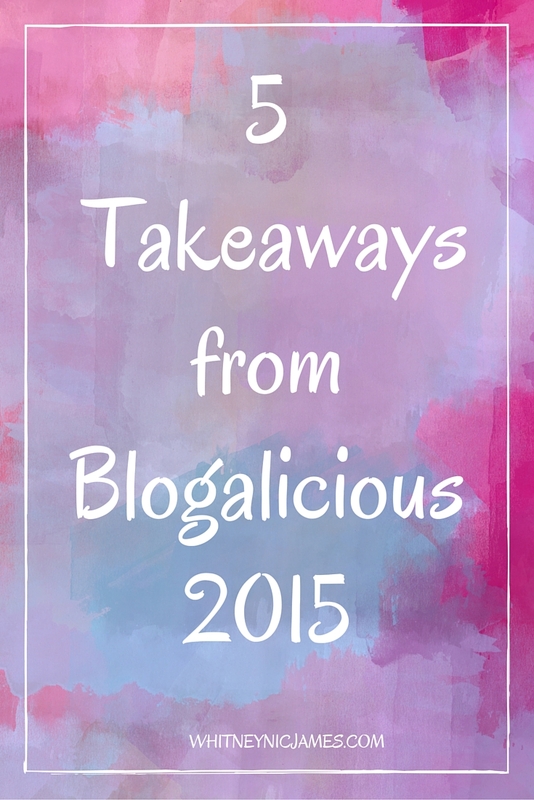 Last weekend I was at the Baltimore Marriott Waterfront for the 2015 Blogalicious Conference. Believe it or not, I’m still on cloud 9 from meeting all the lovely, kind and helpful fellow bloggers/creatives. The conference, themed Build Your Own Empire (#BYOE15), was once again life changing and re-confirming. This is my 2nd year attending and of course I had to be in the number. After all the event was held in my hometown, Baltimore! I can go on and on talking about how the meals/snacks were DELICIOUS and plentiful, or how hanging with Vivi, Deanna, Nae, Dionna and our other #DMV BLM Girls was EVERYTHING, but instead I’ll share 5 takeaway from #BYOE15. There’s also a short video below with a few highlights. 1. Live with Intention & Be Consistent. Mattie James, thee Live the Life you Love advocate behind Mattieologie, stressed importance of building a legacy and staying consistent. In life we should all strive to make a living doing what you love, while remaining consistent and intentional about serving others. I thoroughly enjoyed listening to Mattie session and appreciated her message, which was perfectly tailored for future creative entrepreneurs like myself. 2. Don’t Be Boring. Blogging colorfully is what keeps your readers coming back for more. Ty Alexander, known to most as the lovely Gorgeous in Grey, was on point with her Create Colorful Content session. It was actually the first one I signed up for. Oiginal content, strong headlines, and writing short and to the point content is where it’s at! (That’s something I’m working on, LOL). One thing that stuck out the most was to write something every day. You have to practice your craft daily if you want to become an expert. There’s simply no way around it. 3. Pitch, Pray & Do the Work. I’ve followed and watched Nicole Walters, the #MonetizeThyself and “Pitch & Pray” Queen, around the Internet for months. She has grown into an incredible force to be reckoned with! Simply put, the girl knows her stuff. 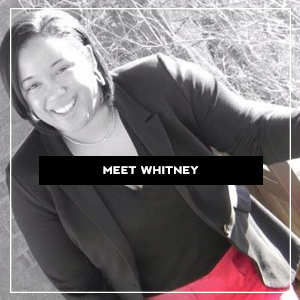 She’s passionate about teaching others how to monetize their lives and the tips she provided were extremely helpful. The main takeaways from her session were (1) act like a business, (2) live in the state of expectancy, and (3) strive to make face-to-face connections with key influencers. 4. Diversify Your Coins. For most people the ultimate goal is to make a living doing something you love, while making coins along the way. But who says there’s only one way to make money? Arsha Jones of Tees in the Trap gave exceptional tips on how to diversify your income. 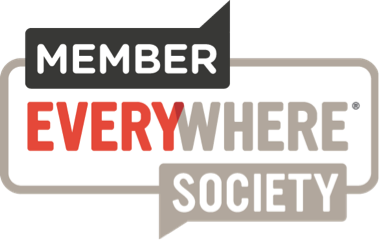 We should all have multiple streams of income. A few things to remember; (1) follow your passion, (2) define and know your audience, and (3) leverage up and collaborate with like-minded influencers in your niche. 5. Strive to be Credible. If you’re not credible and your reputation is questionable, it’s going to be tough to build a reliable brand! Blogging veteran Marie Denee (The Curvy Fashionista) delivered a great message on reputations, relationships, and returns. Building a credible online reputation takes time, but it is possible. Marie reminded us to separate the personal from the professional, build a tribe, and don’t focus on “what’s in it for me” (WIIFM). Lastly, always be willing to give more than you receive. So tell me, what’s your favorite takeaway mentioned above? 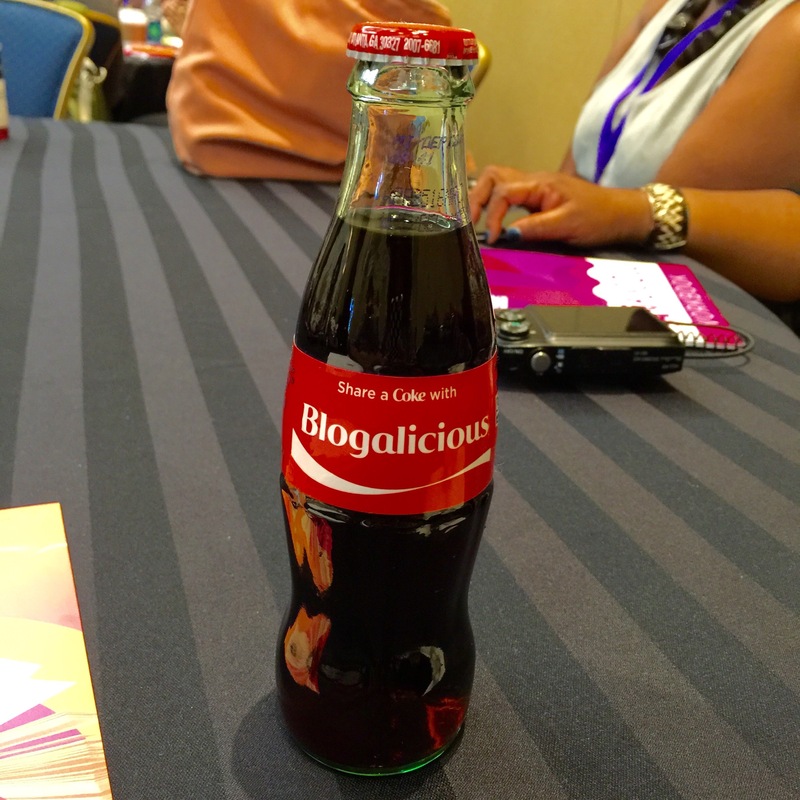 Were you able to experience Blogalicious this year? Let me know! I honestly found myself a bit overwhelmed with all the useful information I received, but it’s a good thing. I needed to immerse myself with all things blog and business related. I’ve been hungry all summer to learn and do more, and this conference was a great indicator that I’m on the right path. If you want to know how a few others felt about the conference check out the detailed recaps from Heart, Print & Style and Bernetta Style; two of my blogger buddies who I enjoyed seeing in Bmore! Until next time, be blessed and stay safe…XO! 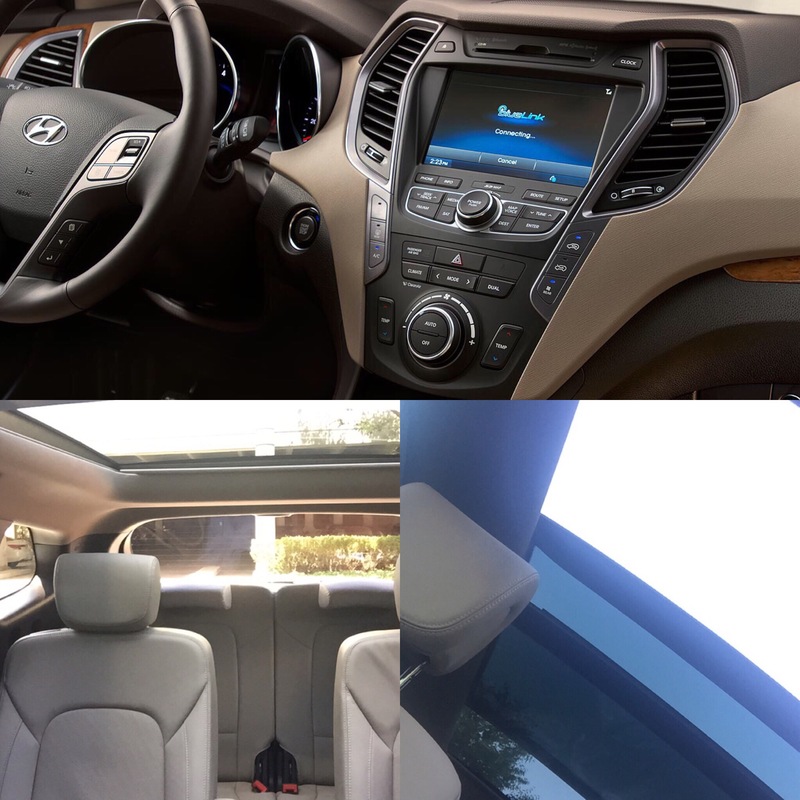 In the midst of a hectic and crazy few days, I’ve been able to ride in style all week in the 2015 Hyundai Santa Fe. With hubs and I packing to move, this mid-size family car has been the PERFECT companion! We’ve used the car to transport certain items to the our local Goodwill, as well as hauled quite a few bags of unwanted items to the dump. We just started packing up this spacious car with boxes and bags in order to transport a few belongings to the new place. 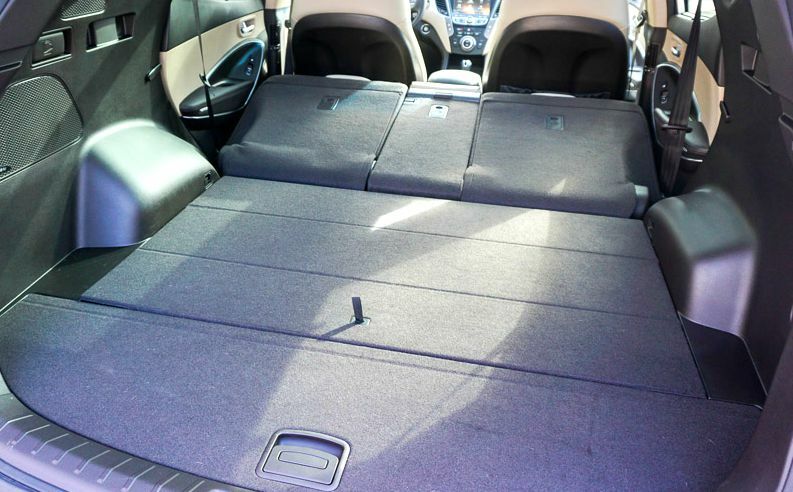 With 3 rows of seats, easily converted to create more cargo space, it’s been a breeze. 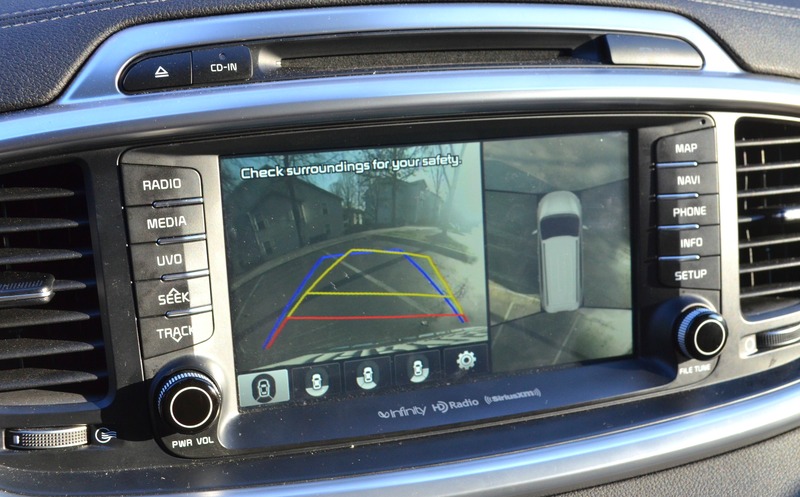 Another feature I LOVE is the built in navigation and hands-free capabilities. 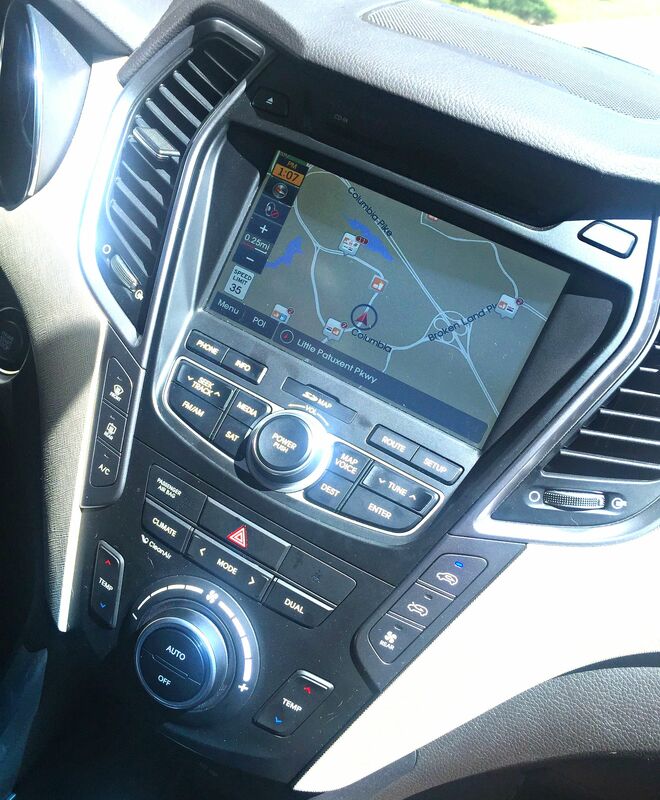 On our recent overnight trip to D.C. we used the navigation system to get us there. The system alerted us about possible traffic jams and congestion, accidents, as well as detours. The hands-free feature definitely came in handy while driving to work each morning. I’ve been able to listen to my favorite podcasts and my homemade iTunes playlists! That small feature has made my drives to work that much more enjoyable. 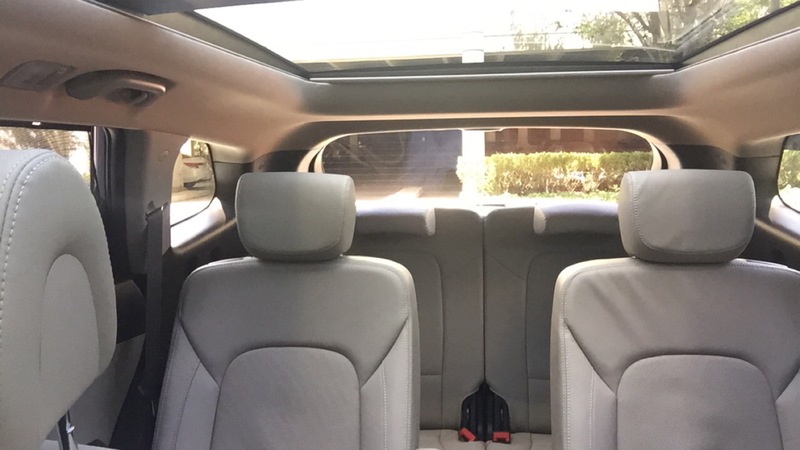 Again, the car has plenty of space (driver’s and passengers side) and also came with a panoramic sunroof. 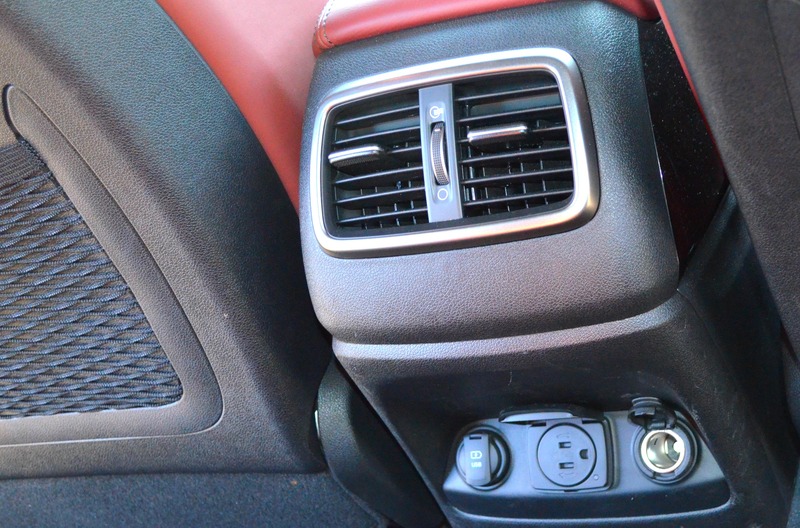 This feature allows the warm sunlight and fresh air to seep in while driving. Plus driving around with an open sunroof and Kendrick Lamar blaring from the speakers makes you look and feel really cool, duh! One more thing – I’ve had the car since last Friday and with all the driving I’ve been doing (back and forth to D.C. and Baltimore) I have not stopped at the gas station. The tank is still a little under half full – #WINNING! So tell me, what features do you look for in a car? 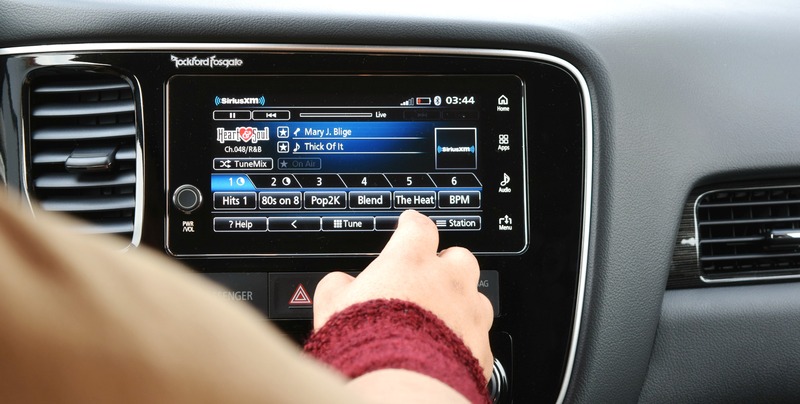 Have you ever driven the 2015 Hyundai Santa Fe? Let me know! Looking for a spacious mid-size crossover or SUV? I highly suggest the 2015 Hyundai Santa Fe. 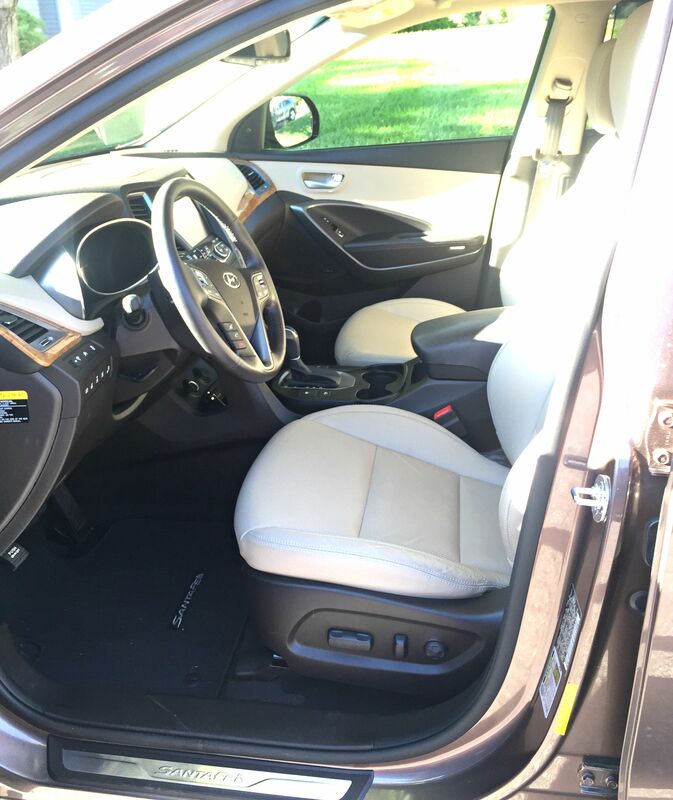 This car has made the list of “possible future cars” for hubby and I. I can see it being perfect for a family on the go, or for a family without children who road-trips often and transports items frequently. Until next time, be blessed and stay safe….XO! Last month hubby and I traveled to Dover, Delaware to visit his family. Being the hospitality expert and professional he is, I usually leave the hotel accommodations to the him. 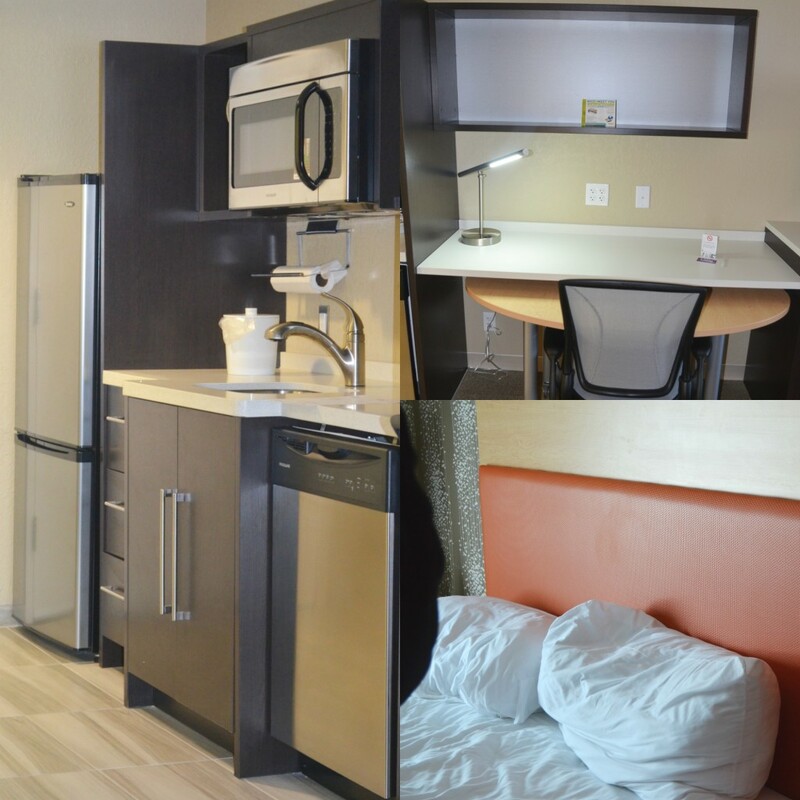 For this trip, he planned for us to stay at the new Home 2 Suites by Hilton and I was really impressed. 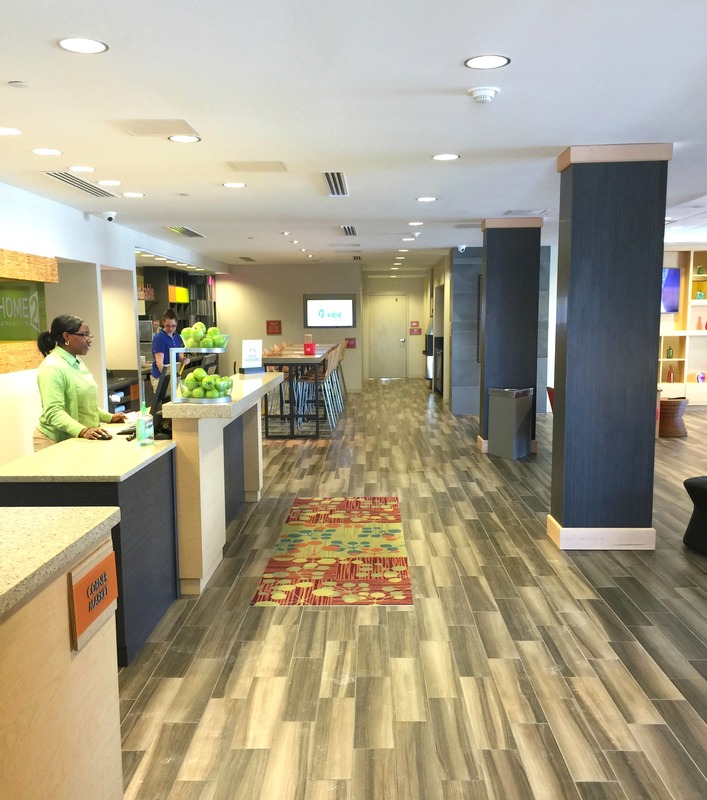 Not only was the hotel clean, but the staff was friendly, helpful and very accommodating. Only a few miles from Dover Downs Casino, the hotel is located right on DuPont Highway. I immediately got a modern and eco-friendly feeling when we arrived. The front desk area and lobby was clean, bright and inviting. The front desk agent let us know that breakfast and WiFi was complimentary and that each room was a suite with a full kitchenette. We didn’t get a chance to go for a swim, but the hotel also has an indoor saline pool and a gym. Entering the suite was delightful as well. 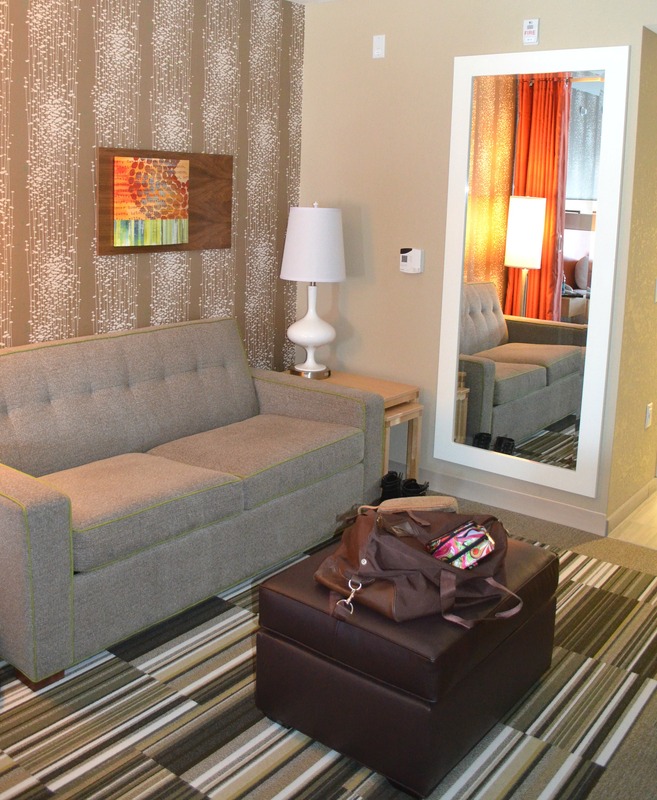 I was intrigued with the wall paper, room decor and cleanliness of the rooms. I also liked the separation of the bedroom and living area. There was a sturdy curtain-like divider hanging from the ceiling that separated the bed from the lounge area – a perfect feature for families with smaller children. Speaking of the bed, let’s just say I sunk into the covers and fluffy pillows and fell asleep without hesitation. The desk area was spacious enough for a laptop and mini work station setup; another bonus and great for those guests traveling for work. 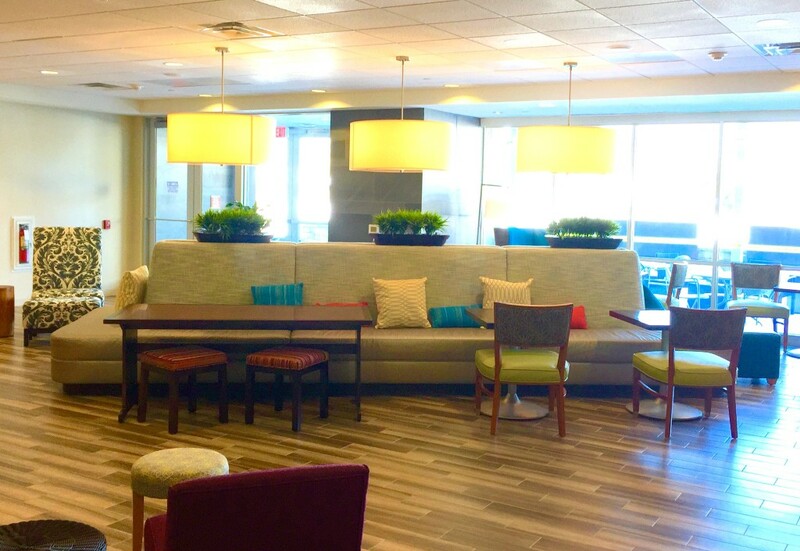 So tell me, have you stayed at a Home 2 Suites by Hilton before? What do you think about the pics and review? Let me know! All in all, the trip itself was enjoyable and the hotel stay was wonderful. 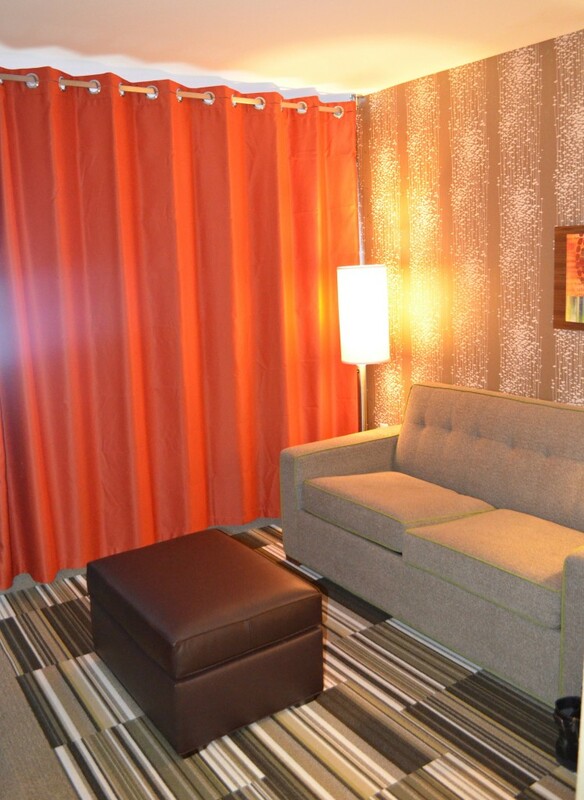 There’s no place like home, but staying somewhere like Home 2 Suites made me feel comfortable and “at home like”. With the mini kitchenette, room divider and other accommodations I would suggest this hotel brand to those who want that home-like feeling while traveling. I’m sure you’ll love it! Until next time, be blessed and stay safe…XO!